Located on St.Elmo Ave in Chattanooga’s bustling St. Elmo, Peace.Strength.Yoga is the Scenic City’s only one-stop-shop for yoga and barre. 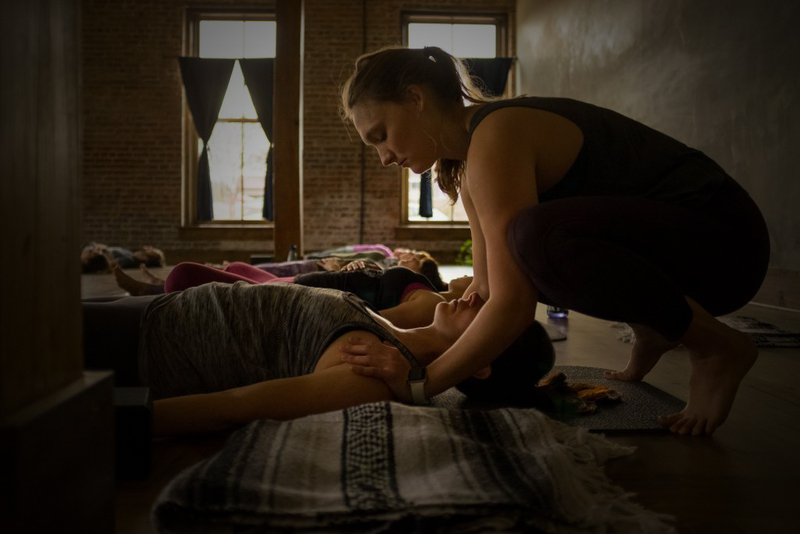 Offering a holistic approach to traditional practices, as well as a schedule designed to provide classes accessible to participants of all levels, PSY exists to bring happiness and peace to anyone who walks through the door. Peace.Strength.Yoga offers an inviting and relaxing space to deepen one’s practice, especially for those looking to take a leap towards transforming, healing, and accepting the challenge of creating the best version of themselves. At Peace.Strength.Yoga, what truly matters is simply showing up. Today was my first time at PSY and had a perfect first experience. Kaylee was extremely personable making the class quality but still fun and interactive for a great practice. Also, the facilities were great. My wife and I will certainly be back. Thanks again, Kaylee! Everyone is very friendly and takes the time to make newcomers feel very welcome! Challenging and doable. Best yoga studio I’ve been to. Very welcoming and gives individual feedback for postures. An unpretentious and playful environment to learn and grow in your practice.